What’s Wrong With America’s Military? Gay men and women serve openly in the Canadian military. They serve openly in the British military. They serve openly in the Australian military, the Israeli military, the Brazilian military, the Spanish military, the South African military - they serve openly in thirty-one countries around the world. (Thirty-two if you count Russia, where only ‘well adjusted’ homosexuals are allowed to serve, but one hopes that the heterosexual recruits are also ‘well adjusted’.) In all of these countries, from Lithuania to Argentina, the military personnel are disciplined enough to conduct themselves with utmost professionalism. So what’s wrong with the US military? Why is it so inferior? The US spends more than any other country on its armed forces. It boasts the greatest military strength in the world. It prides itself on being the best in the world. So why is the US military only the 33rd most disciplined? This is not my judgement, mind you. This is the judgement of the defenders of Don’t Ask Don’t Tell, who don’t think the US can be held to meet the expectation set by those other countries. 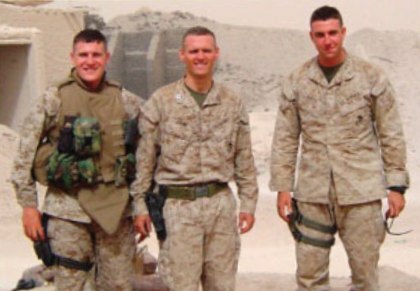 It’s the judgement of California congressman Duncan D Hunter, a former US marine who served in Iraq and Afghanistan, who told NPR that repealing Don’t Ask Don’t Tell would be “bad for the cohesiveness and the unity in the military, especially those that are in close combat”. It’s the judgement of Hunter’s colleague ‘Buck’ McKeon, who wants evidence that repeal “would not degrade wartime military readiness”. It’s the judgement of Senator John McCain, who is concerned about the impact of repeal on the “readiness and effectiveness of the military”. It’s a judgement echoed by Bill Kristol, the conservative columnist and star of City Slickers II: The Legend of Curly’s Gold, who is intitimidated by the “organizational complexity” of repeal. Estonia dealt with the “organizational complexity” of allowing gays the equal right to get shot at in service to their country. Why isn’t the US up to the task? Where is the rigour? Where is the commitment? What’s wrong with the US military? Crankypants McCain is so unsure of the abilities of the men and women in the forces that he used to serve in that he’s famously flip-flopped on his commitment to follow the military leadership on the policy. Only four years ago, he said, “the day that the leadership of the military comes to me and says, ‘Senator, we ought to change the policy,’ then I think we ought to consider seriously changing it”. Now that he faces a more conservative tea-bagger opponent in his upcoming Arizona primary, the senator is no longer persuaded by the opinions of either the current Chairman of the Joint Chiefs of Staff, Admiral Michael McMullen, or the retired chairman who originated the policy, Colin Powell, both of whom have said, ‘Senator, we ought to change the policy’. Representative Hunter (who is quite the pretty young thing) told Wolf Blitzer that the difference between the US and other countries - countries that the US serves and fights alongside - is that “their military is much smaller than ours, it’s much more specialized”. The US military is too big for cohesion, readiness, effectiveness. That’s why they keep shooting their own allies. Wolf pointed out that Israel faces some quite significant military challenges of its own. “[B]ut the Israelis have mandatory service,” said Hunter. “So in Israel, it doesn’t matter if you’d like it or not.” So in Israel they have to tolerate gays in the military, and that means… that the problem… just goes away. To be fair to Rep Hunter, what he’s really saying is that recruits will be scared away if they know there are gays in the military. This didn’t happen in any of these other countries, but maybe Rep Hunter believes that Americans are less patriotic than people in other countries? Maybe Rep Hunter thinks that America isn’t a very good country, and its citizens aren’t proud of it the way that, say, Norwegians are proud of their country? (I think it’s Norway.) Maybe Americans know that their military isn’t very good, so they’re looking for any excuse not to be part of it? US forces already serve alongside allies that allow gays to serve openly, of course, and Rep Hunter was in Afghanistan with NATO, so he may already have served alongside gay soldiers, but he claims otherwise. “I didn’t run into any open homosexual men or women with … the Brits, Canadians, Germans, French, the other people that I served with over there.” How would he know? Don’t Americans think that all Continentals are a little bit gay? And that Canadian practically means ‘gay American’? But, as I said, Duncan D Hunter is rather pretty, with quite the loveliest blue eyes, and anyway he was in the Marines, so, he’d know. Except, the policy he seeks to defend is based on the presumption that he wouldn’t know. Don’t Ask Don’t Tell does not bar gay men and women from serving. It just bars them from pursuing or engaging in homosexual behaviour while in service - gays have to remain celibate, on duty or off, in uniform or out of it, from the day they sign up until the day they are discharged. Gays don’t have to not be gay. Plenty of men and women in the US military are gay, and Rep Hunter served right alongside them in Afghanistan, and he didn’t know. And if the ban were lifted, he still probably wouldn’t know. First of all, he probably wasn’t the most observant guy in the corps. Second, whether gay or straight, you can’t go around shagging your fellow soldiers when you’re on duty. There’s a whole other set of rules against that. As strapping as he is, Rep Hunter had no reason to believe he’d know he was serving alongside homos, unless he thinks they all wear floral camo. Or little pink triangles. Gays and lesbians serve in the US military today. Having them do so with honesty, honour and integrity should not be a threat to operational efficiency. Not in any military organisation of any worth, anyway. So what’s wrong with America’s military? Why isn’t it as good as Peru’s? Duncan D Hunter (right). Don’t Ask, Don’t Tell, Don’t Mind If I Do.